The Doctor of Nursing Practice (DNP) is the practice-focused doctoral degree developed in response to the endorsement of the American Association of Colleges of Nursing (AACN) position paper recognizing the DNP as the credential for advanced nursing practice. The DNP is equivalent to entry level professional degrees offered by other health care disciplines including Doctor of Medicine (MD), Doctor of Dental Surgery (DDS) and the Doctor of Pharmacy (PharmD. opportunities culminating in a practice inquiry project. 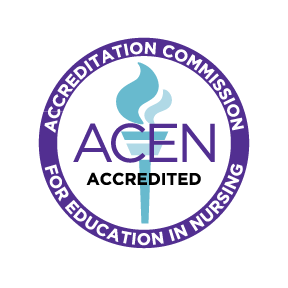 The curriculum is based on the AACN essentials of Doctoral education for Advanced Practice Nurses. Students will participate in lectures, seminars, laboratory simulations, and site visits to rural communities. Research methods and evidence based practice provide opportunities for data analysis, research critique, evidence–based presentations, formulation and evaluation of a practice inquiry research project. At the conclusion of the program, all students will demonstrate competence in the eight essentials of doctoral education, be prepared for their specialty role as an individual health care provider, and be trained for leadership roles within the larger health care system. The Doctorate of Nursing practice (DNP) is a program designed to prepare the nurse at an advanced level of nursing science. The program emphasizes the development of the student’s capacity to impact the clinical setting as leaders and educators and to utilize clinical research to improve and transform health care. Our program is based on the understanding that nursing provides services which includes the direct care of individual clients, transcultural nursing, management of care for rural populations, administration of nursing systems, and development and implementation of health policy. In addition, the program will encompass health policy, health economics, cultural diversity, chronic care management, health promotion, and disease prevention in rural communities and will create a cadre of new nursing faculty who can immediately address the nursing faculty shortage. Advanced practice nurses with practice doctorates will address significant practice issues in a scholarly way, adopt broad system perspectives for health promotion and risk reduction, and act as agents of change that transform client/community care, participate in the on-going evaluation of health care outcomes, and assist in the translation of research that leads to positive nursing practice changes. The UH Hilo SON ascribes to the curricular elements and competencies of the DNP degree proposed by the American Association of Colleges of Nursing (AACN). The DNP essentials describe the necessary foundational outcomes required for the DNP graduate. Synthesize theoretical knowledge and research evidence in designing primary care delivery for diverse populations across the lifespan in rural contexts. Collaborate with multidisciplinary professions, multisectoral agencies and lay communities to influence social and health policies impacting rural population health. Assume leadership role in organizational systems to improve rural population health in local and regional communities. Promote adherence to professional and ethical-legal standards of practice by individual professionals and organizations. Integrate cultural competence and social justice in addressing health disparities in rural populations. Examine research evidence in design and implementation and evaluation of policies and programs for population health in rural communities. Use best practices and technology to improve care delivery for diverse individuals, families and communities within the continuum of primary, secondary and tertiary care. Create educational programs to develop culturally competent practice and education of the nursing workforce . Design educational programs and evaluation programs to enhance rural community empowerment for health. The Post Baccalaureate DNP entry point is intended to allow entry into the DNP program for nurses who are not already advanced practice registered nurses (APRNs).The program will educate registered nurses to be Family Nurse Practitioners (FNP) with foci in Gerontological Nursing, Transcultural Nursing,and Rural Health Care. The Post Masters DNP entry point offers nurses with advanced degrees in nursing specialty areas (e.g. education, administration, practice, information systems management, leadership, etc.) a doctoral program, which expands their level of practice expertise. Further information on the details of fulfilling admissions requirements are available from the DNP Program Admissions office (808) 932-7067, School of Nursing website, or Graduate Division Office. Last updated on Wednesday, May 23, 2018, 3:39pm HST.